gorgeous treat pouch Vicky. Hope you enjoy your spending spree! 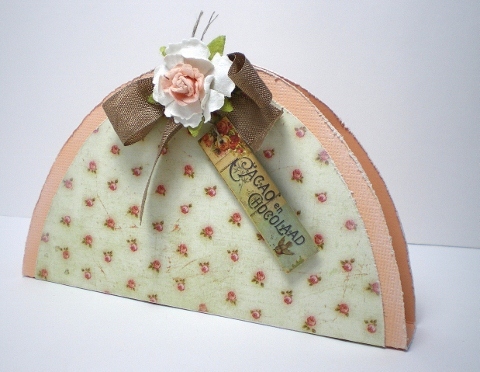 This fabulous treat holder and the gorgeous card in your last post are stunning, as always. They are perfect. Have a wonderful time tomorrow and can't wait to hear about all the lovely things that you buy! This is beautiful, hope there's some yummy chocs inside! This is such a beautiful treat holder Vicky...loving the vintage style.